Antique bookcase circa 1870. 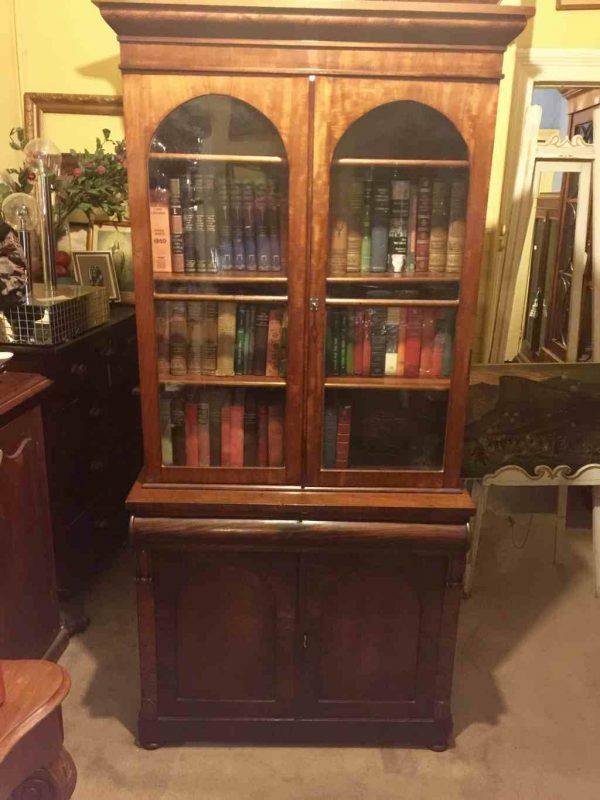 Delightful antique mahogany two sectional bookcase of pleasing smaller proportions. Good Original condition nice patina,with good storage behind two arched doors below a full length drawer. Top has matching glazed doors with original adjustable shelving. Antique furniture at Melbourne’s best value for money.